The hygiene and sanitation are the keys to great health. Business can only be successful when they ensure the best of their customer’s wellbeing. Expecting positive output from your employees or a smooth customer flow is completely justified when you ensure the best for your staffs and clients. 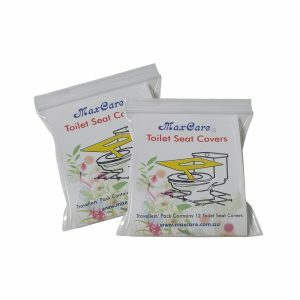 Toilet seat covers from MaxCare will definitely help you achieve that. For instance, whether you are on a shopping spree in a shopping plaza or working in an office amidst much work pressure, bathrooms are certainly the area, your customers or staffs might visit at least once. Keeping the bathroom clean is not the only solution to prevent germs in your business premises. A recent survey reveals that the warm moist environments of the bathrooms are the most infectious bacteria zones. Nearly, 38% of the germs are spread by the toilet seats. Get Free Delivery on all orders of toilet seat covers, no minimums required! Items are dispatched from the Sydney and will arrive at your doorstep in 2-7 days. 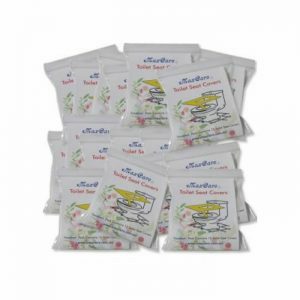 Resealer travel pack of toilet seat covers to fit in you purse or pocket. 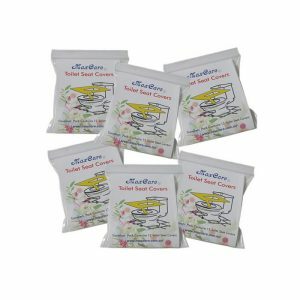 2 x 12pk for only $9.95 with Australia wide free delivery. Do you often find it annoying to control your nature’s call in the schools or colleges due to untidy bathrooms? Is it really possible to avoid office restrooms, when you have to spend more than 8 hours at your workplace? Although a toilet may seem to be a discrete factor of any commercial or household space, it is perhaps the most used and essential area. This needs constant attention and care to prevent the germs and diseases spread like wildfire. 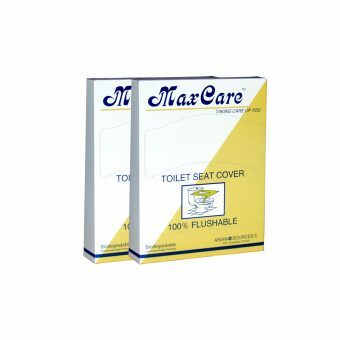 MaxCare‘s toilet seat covers can act as a protection from the breeding germs and bacteria on the toilet seat. 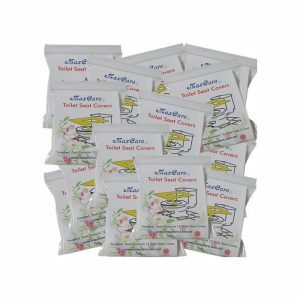 Our product is specially made out of quick-dissolving tissue according to the shape of the toilet seat which can be used by your clientele or your set of regulars. It is eco-friendly paper toilet seat covers, easily flushable to avoid any plumbing problems. Introducing MaxCare toilet seat covers for the benefit and well-being of your patrons can be a blessing in disguise in the growth of your business. Sydney, Melbourne, Brisbane / Gold Coast, Canberra, Adelaide, Hobart, Darwin, Perth.